Discussion in 'General' started by studio819, Dec 11, 2012. Would be interested in seeing any Microtech, Pirahna, Benchmade, Boker, Spyderco, Cold Steel, anything that looks like a turtle (Pancehenko) or a squid (Burnley) or Knives of Alaska. I carry one of these. Light weight, opens easily, holds an edge,and inexpensive. One with the blade all the way, and the other has serrated near the hinge. I didn’t want to start a new thread. I’m seeking info on hunting knives. I’m not looking to break the bank. Are most hunting knives non folding? My preference would be a non folding knife. No serrations. Let’s start under 50 bucks. Can I use the same knife for squirrel as well as deer? Looking for advice. No. Who even asks that question? You clearly need a squirrel specific knife. Jesus. He who seeks knowledge. I will assume that you were hatched in the Geritol age. Sounds like you need more fiber in your diet. I'm looking for sub $70. I'm thinking that I want a comfortable handle seamless handle for easy cleaning. I'm assuming with the increase in price that affords me a better quality steel that will hold an edge? I'm trying to make an informed purchase. Would I better off with a dual purpose gutting/skinning knife? They do a plus model from memory with hook. Aah, discontinued. C's is usually available second hand in most models on knife, Edc and bushcraft forums. I don't hunt but recall this was the go-to blade in that lower price point. The San Mai version is a laminate blade, it's cool but unnecessary. Generally yes but sometimes just buys bragging rights with a super steel that most people wouldn't know different. 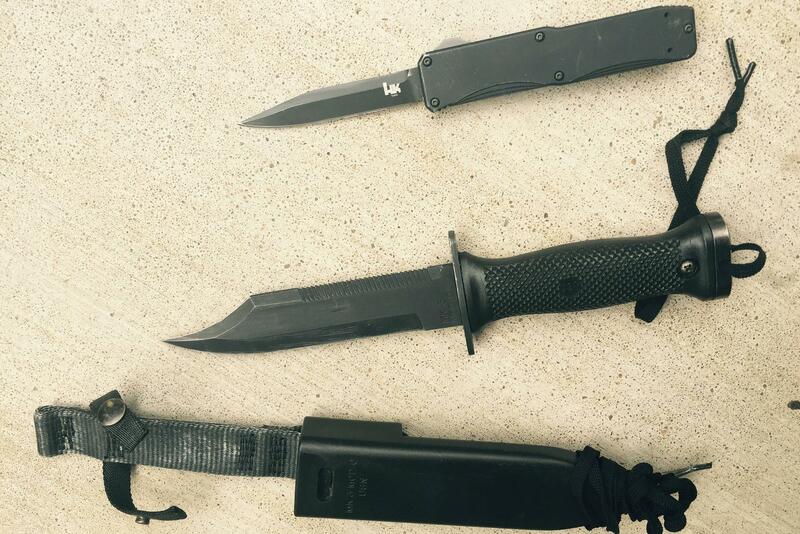 The cs knives perform well enough and are cheap enough to be disposable. I like the grip of the above link. What do I get with the difference price? Not sure, grip, sheath, got mine at Sportsman Warehouse with a kydex sheath. It will not fall out of the sheath. First several deer I did with those $.99 truck stop folding knife with a maybe 1.5" blade. You know those plastic yellow/pink/or black ones in the gum bucket on the counter...razor sharp (for the first deer). With a bit of technique you can break down even large animals (elk) with not much besides 'sharp'. You don't need much for field dressing anything. I use my kitchen knifes for butchering/packaging later. You must have had your recommended daily fiber intake.